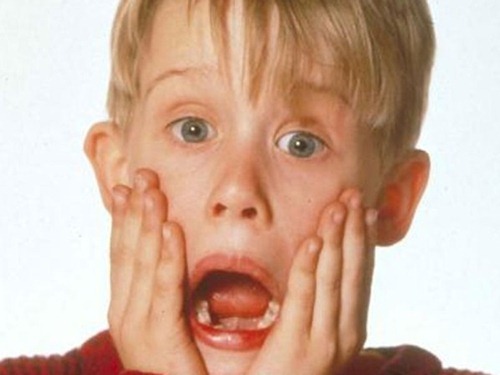 Here is a sobering fact to start the work week: Home Alone 2 was created 20 years ago. Twenty. I know some of you reading weren’t born before 1992, but for the rest of us…..ahhh, indeed! That means, Home alone 1 was created 22 years ago. Ummm….stop that. Stop it right now. Eric and I were innocently watching our beloved Home Alone 2 last night when some kid came on and ruined the whole thing by telling us how far away we are from 10 years old now. lalala la la la lalala la la. I probably would’ve guessed the movie was 10 years old. I’m in time warp, clearly. Eric is also in denial. Live on, VHS, live on. Sobering fact number two: It’s December 3rd! Did you wake up Saturday morning in a bit of a shock? December always sneaks up on us, much like the twenty year anniversary of Home Alone 2. What can ya do. It’s time to get down to business! I’ve put together my annual holiday gift ideas post highlighting some of my favourite gifts all in one cozy spot. It’s always worth repeating that I do not have an affiliation with any of the brands listed below nor are any of the links affiliates. I simply enjoy these products/services and think you might too! 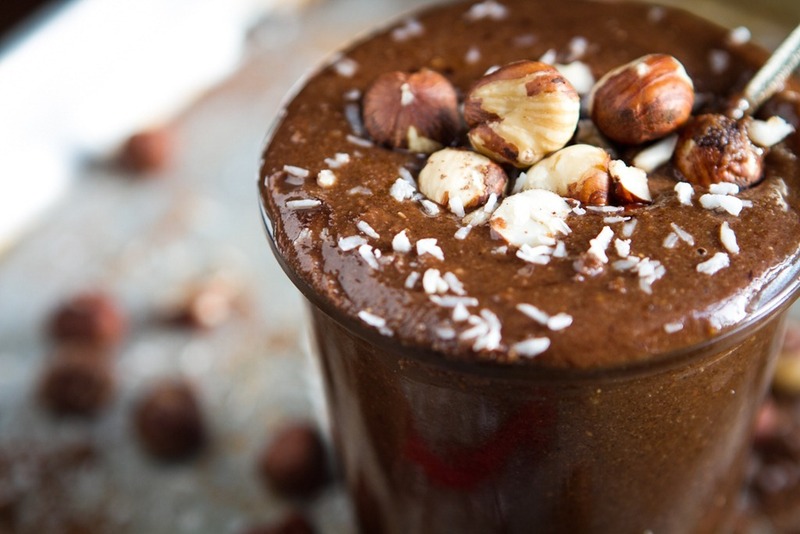 These jars are my go-to for gift-giving my homemade nut butters. They are just so darn cute and come in mini 4.5oz all the way up to 26oz. Do you reeeeally know the true temperature of your oven? And do you reeeeally think it’s preheated correctly when it beeps to tell you it is? Odds are it’s not. My oven temp is way off so I keep this handy guy hanging in there at all times. Once you know, you can’t un-know, if you know what I mean. Find them at Canadian Tire, Kitchen Stuff Plus, or other home good stores. This would make a great stocking stuffer for the home cook! 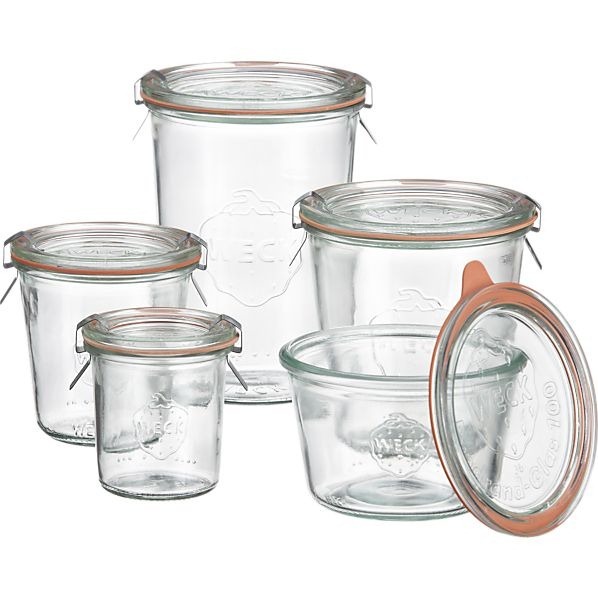 These glass containers are 3 in 1 – as the website says, they go from “oven to table to freezer”! My thoughtful father-in-law subscribed me to this magazine last year and I must say I have enjoyed every single issue. It’s a great gift for vegetarians, vegans, or those just looking to live a healthy, compassionate lifestyle. 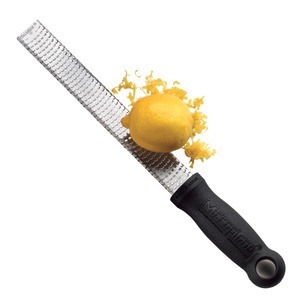 Any time I need to grate fresh nutmeg, chocolate, limes, or lemons…I’m using this bad boy! Please note: I am not responsible for your lost fingernail tips. Eek. Is there anything better than a nesting bowl set? I had no idea that’s what they are called, but it’s good to know. It’s perfect for the neat freak who is short on storage. That’s me, minus the neat freak part. Truth be told, I have some nesting bowls and I somehow manage to un-nest them in my cabinet. It drives Eric craaazy. Doesn’t Anthro have the coolest gifts? It’s always one of the first places I look when I need a unique gift for a friend. Whatever you do, check out Anthro’s sale room before you buy anything full price! You can score some amazing deals up to 70% off. Why not give back to our wonderful earth during the holidays? 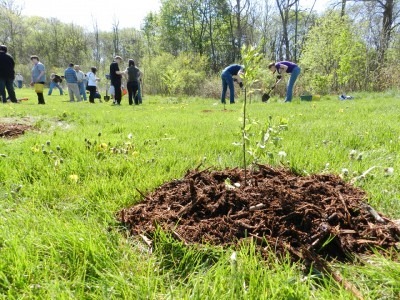 Trees Ontario will plant 10 trees for a $25 donation. You can donate them in someone’s honour too. We are doing this this year since we are purchasing a real tree and thought it would be a good tradition to start. If you are outside of Ontario, simply google a similar organization in your own area. There are lots! I spotted these at Whole Foods and promptly fell in love with the Thai Lemongrass scent (among others). I hear the Mediterranean Fig is a great winter scent, but I haven’t tried it yet. You can read about how Brook and Billy started the Pacifica business here…it’s pretty inspiring how committed they are to the environment! 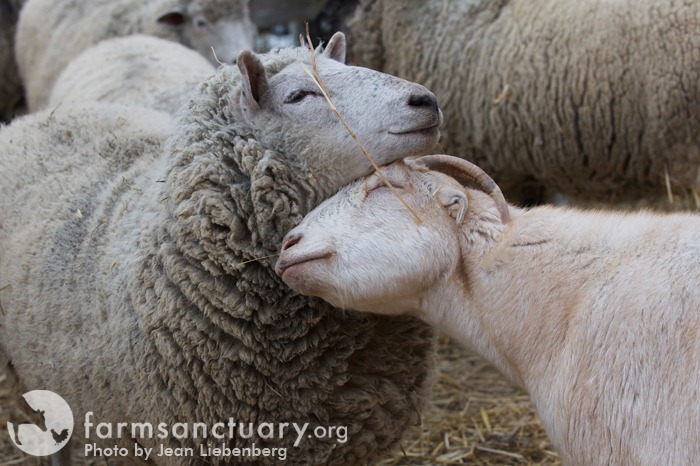 Farm sanctuaries rescue, rehabilitate, nourish, and provide love and shelter to farm animals who had a rough start in life. Your sponsorship will help them care for and feed the animal giving it the life and respect it so deserves. I own a few Green pots and I love that they are an eco-friendly alternative to common chemicals found on traditional non-stick bakeware. I have the casserole, covered saucepan, and a skillet. I believe Costco sells the skillets in packs of two, if I’m not mistaken. 13. Vegan shop owners on Etsy – choose from over 77,000 items! If you are stuck on what to buy the vegan in your life (or anyone for that matter!) just head on over to Etsy. Bonus points for being able to search for local shop owners and support small business owners. Want to know the product question I am asked the most on Oh She Glows? —> Where did you get your glass straws? Yes, that’s the one. I’ve been asked it so much I added it to my FAQ page. I was sent the product to review a few years ago and have been using them in my daily smoothies ever since. Can we please ditch the plastic straws once and for all? Why not give the gift of food to your loved ones this year by making food gifts yourself or by supporting local vegan bakeries? 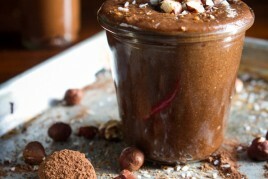 I gave a jar of my homemade Nutella as a hostess gift this weekend and it was a fun gift to give a chocolate lover. Don’t forget to let me know below what’s on your gift list! Love this list… And I have a lot of it! I posted mine today too. It makes me feel festive despite the fact that its going to be 72 degrees today. Not complaining! Thanks for this great list! I have been meaning to get myself a VegNews subscription for a while, and it didn’t occur to me to give it as a gift too! 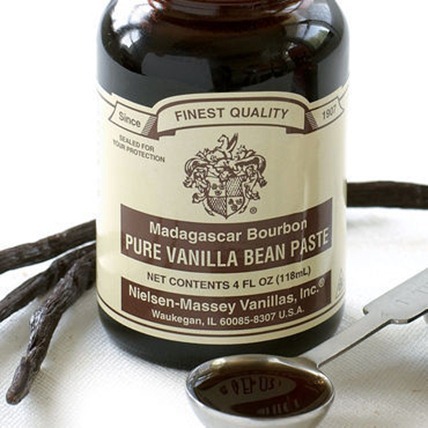 Also, I LOVE the vanilla bean paste idea, what a lovely gift! What I great list! I have another question about the straws. How do you clean them? Good question :) The key is to rinse them immediately after use (if you let it dry the smoothie can get stuck in the straw). So I rinse them with water and then pop them right into the dishwasher (in the utensil basket) until it’s ready to be turned on. Works fine for me. The company also has a cleaning brush you can purchase for 5 bucks, but I don’t have one. There is actually a tiny brush available that can be used for cleaning them. Also works well on the big straws for the tumblers. The second one is way better than I remembered it to be! They did a good job. Not sure if I have seen any after that though. That VegNews magazine sounds great! I may have to look into that as a gift for myself ;). I also love the idea of sponsoring a farm animal. What a great gift idea! Wellll thanks for making me feel like an old hag! HA!! I keeed, I keed! Vanilla bean paste is the best thing ever. I sub it for extract whenever I can! 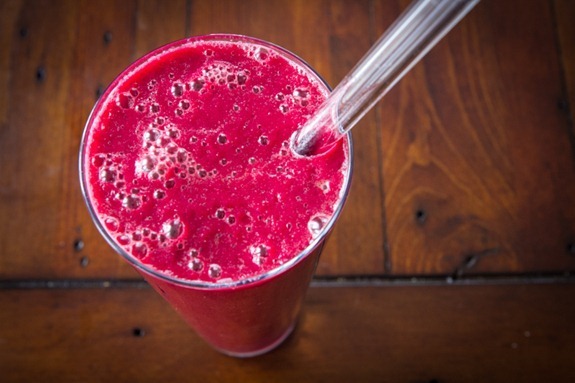 It’s a kaPOW to the taste buds! Now I’m going to go break out my walker. I always look into subscribing to VegNews, but for Canadians, the price is actually $40 for 6 issues! I thought it was the same as US, but now I see the fine print. I’ll add this in to clarify. I have a giveaway going on right now for that vanilla!! N-M vanilla is the best! Well, I make my own vanilla extract too but the N-M is so awesome. Love the stuff! 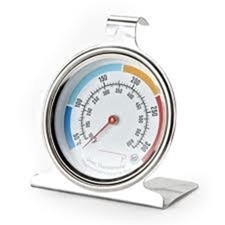 And the glass jars, oven thermometer, I am a fan, too. Calibrating the oven and checking temps is so important to ensure great results. 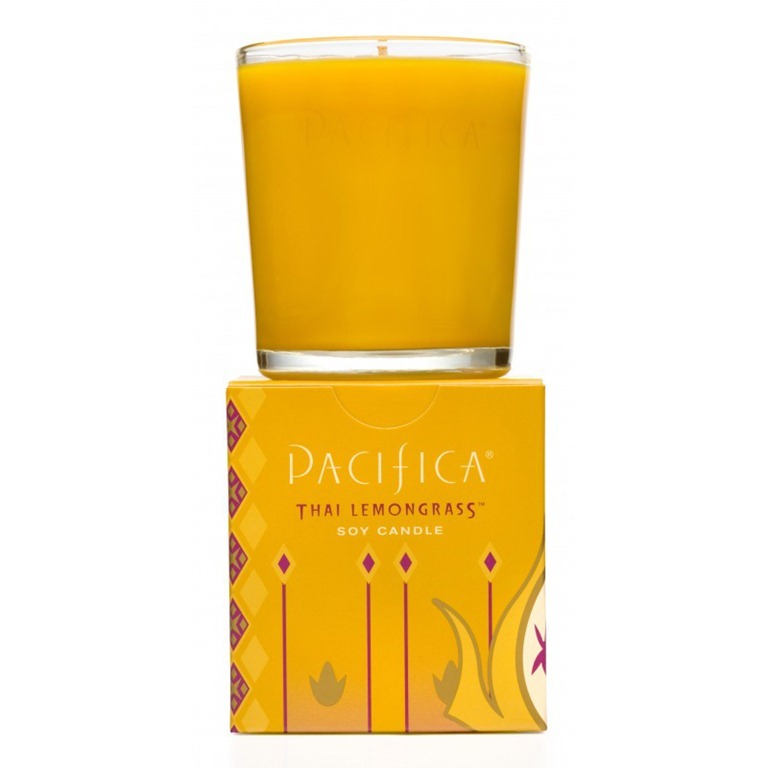 Pacifica candles are the BEST IN THE WORLD. EVER. I am addicted to them and everything else Pacifica does! Excellent list!! Um I love ALL of these ideas… for myself :) haha. What? I’m only 18 and I didn’t even realize that Home Alone is older than I am. That’s scary. Thankfully I was alive when the third one was made, so I don’t quite so young and out-of-it. Oh yea I meant to put that on the list too! My oven sounds like yours. I find it takes a good 15 mins for it to reach temp, longer for higher heats. I have to get some of that vanilla bean PASTE! 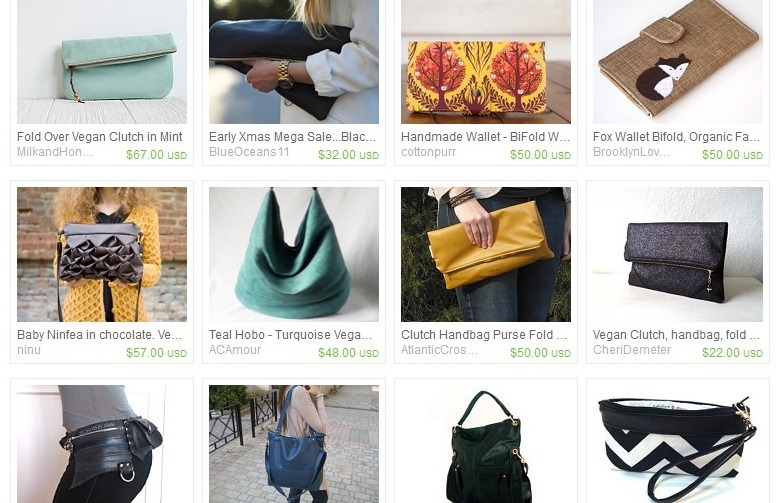 and the vegan purses….! But a black microplane? Check out these…. Pink! i love those colours! I wish we had SLT in Canada. I am 20, but I never really thought about how old that movie was…interesting! Do you sell your homemade nutella? and what 20 years? I cant believe home alone is that old….or yet…that I am. What’s your fave food processor, Angela? Speaking of 20 years, my vintage Braun (bought when I lived in Toronto) is a little older and going to bite the dust soon. So bummed Braun is no longer manufacturing here in the US, or Canada. KitchenAid or Cuisinart seem to be the only options. Hey Lois, I use a 12 cup Cuisinart processor :) So far Im quite happy with it! I know some men would like things on this list but it is geared to females. While it is FAB I always have such a harder time buying for the men in my life like my Dad!! Any suggestions?? Love your gift guide! You’re right Anthropologie has some of the best gifts, I especially like all of their foodie stuff. 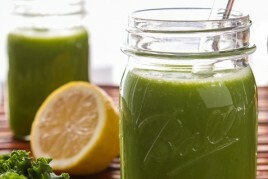 I sure would love for Santa to leave me a Vitamix! I legit feel like I watched Home Alone in the theater, like, last Christmas. Unbelievable. The soundtrack has been making my commute to work much more festive recently too! Man that’s crazy! I had no idea I was only 5ish when I first watched those movies. I’m not sure if I should be thanking you for pointing it out, ha ha! And I haven’t really thought about Christmas much yet (though I really should), but a lot of these look like presents I’d like to have! 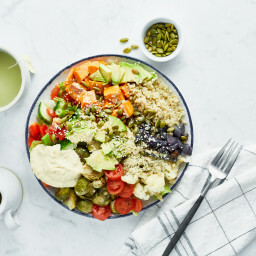 Can you recommend a cookbook for some new to vegan/vegetarian cooking? LOVE LOVE LOVE all of your gift ideas. I was thinking as I was reading them, Yes I want those, yes I want that, yes this is all really great. I think you’re in my head :) Plus I really enjoyed that you put Etsy on here too. There are so many wonderful artists that have amazing ideas and have made some really great stuff! I am slightly biased as I have an etsy page too…shameless plug here www.etsy.com/stephaniehandmade I only have a few things, but there are so MANY more artists that have taken the time to create some really nice items too! Loving your blog like always and wondering when that book of yours is coming out and how the process is going so far! Hey Stephanie, I don’t think your link worked…can you send it again? Thanks for asking about the book! It’s coming along slowly but surely. The hardest part has been the photography!! Im probably going to have to reshoot so many photos at the last minute because I am not happy with a lot of them from earlier on. Im excited to have the book in my hands in 2014 though! It will all be worth it im sure. Ha! I watched that movie too, and thought the same thing! That kid was super annoying, lol… hard to believe that was so long ago! What a classic. I think many of us were watching hah. Did you also watch The Grinch Who Stole Christmas after (with Jim Carrey)?? Wow- I definitely want one of those glass straws for myself! I hate throwing away my plastic straw every day. Definitely going to be buying a few of these things. Thanks for the ideas! I LOVE kitchen stuff plus!! Miss that store so much (almost as much as tim hortons). I also love your idea about sponsoring an animal at the sanctuary. We do that as a part of our annual donations. It’s an awesome place…. We miss you more! We are available online for all your kitchen stuff needs and ship all over North America at very reasonable rates! And, thanks to Angela for the mention, great gift guide! Especially love the animal sponsoring idea, too. I love the great ideas. Here in the UK nielsen massey vanilla paste is about half the price so I’m lucky enough to be able to use it regularly, but real Canadian maple syrup is super expensive! I think top of my foody Christmas list would be a nice fancy bottle of good quality maple syrup. I think you should also add that you are not responsible for grated knuckles when cleaning the zester as well! Haha :) the things we do for food! & I have the glass bowls from C&B – absolutely love them! Quick questions for fellow UK readers…..anyone know where I can purchase good glass straws in the UK? I’ve wanted some for ages! 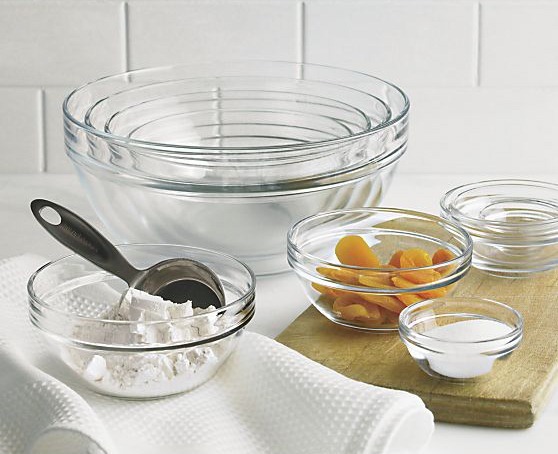 I would love those mixing bowls. A great gift in terms of healthy eating would be to make up prepackaged mixes for soups or spices! I also love the idea of supporting locally. I love going to ETSY as well. It feel so good to support others. 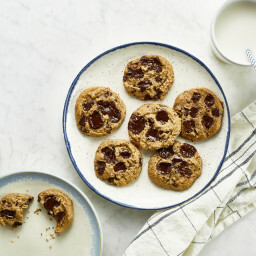 I enjoy a cookie exchange with friends and family too! Blast! I just bought a bunch of stuff from Crate and Barrel, but I wish I’d seen those canning jars first! They had porcelain spoons on sale for 95 cents, which I thought was a super deal. I may have to place another order just for the jars though… Thanks for a great list. I have several of those items on my list; the Weck Jars, VegNews magazine, and the glass straws! Also, anything from Crate & Barrel is awesome, in my opinion. I have that Vanilla Bean Paste! The exact one…so random that they stock it in the supermarkets here! I have the extract version too! :) I watch home alone 1 and 2 EVERY Christmas without fail…3 and 4 just don’t live up to the originals! Thanks for sharing the great gift ideas! I only really have one person to buy for this year, but she’s kind of a toughie. I’ve been hitting up craft sales as I am stuck on the idea of buying something home-made/local, and some of your ideas are great! I love magazine subscriptions as a gift – it’s the best! I never want to splurge on myself that much but always welcome people doing it for me ;). And that is scary about Home Alone. I’m 27 so I guess it makes sense – I remember being about 5 or 6 when I watched the first one – but still! I am also in a total time warp when it come to movies. Some reason when I am doing math in my head to try and see how old a movie is, I still think it is the year 2000. So in this case Home Alone would only be 8 years old according to my skewed arithmetic. Then I realize I am 30 years old, and I was a kid when it came out. Reality check! 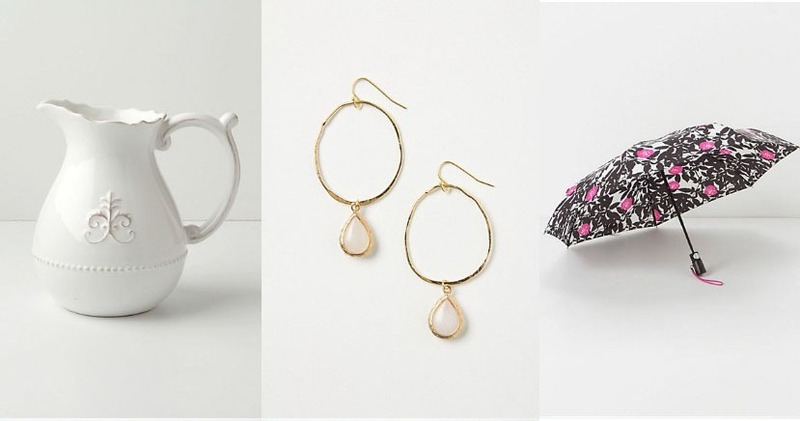 Soooo…these are all gifts we should buy ourselves, correct? Ok, thanks! I’ve always liked the first HA a little better than the second, but maybe I need to rewatch them. I almost added the first to my Mandatory Christmas movies list, but since we don’t own any of them I don’t watch it every year. Now that I’ve been informed I was only 7 when it came out I will just go cry!! Thanks for the gift ideas! I feel ya…but we’ll always be young at heart right? Oh my gosh, 22 years?!!? Gahhh that is making me feel so old now too. Granted, I was only 2 when the first one came out, but still! I love Christmas movies but the problem is that some of the ones I own are in VHS, and I only have a DVD player now! #moderndayproblems ???? LOL. These are such great gift ideas. 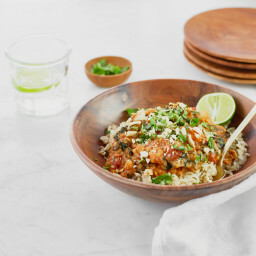 I love the green pans you listed, and oh my gosh, anything from Anthropologie is amazing! I especially love their little jars with the chalkboard labels on them. Too cute!! Wow I feel like you are reading my mind! Everything on this list I either want or plan to give, although my family is not so pumped about getting trees! Haha! I hope someone gets me some glass straws!! I hate my plastic ones but didnt know there was an other option! And I heading over now to subscribe myself to VegNews! I feel 10 years older now too. How does time go so quickly?! 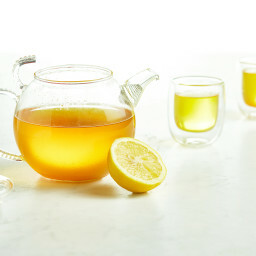 I really love to give and receive tea gifts such as cute steeping cups, beautiful cast iron tea pots or flowering tea pots, tea gift sets, tea club subscriptions, loose leaf teas, etc. That’s just me! Great gift ideas, though I could have done without the wake-up call on the age of Home Alone. Yikes! lol. What’s on my list this year? This super cute vegan wallets from Hip Mountain Mama: http://www.hipmountainmama.com/lobivewa.html. Happy holidays! This is such a great holiday gift list. LOVE it! Thanks Ang. Hahahhahah!! That is hilarious! I did the exact same thing; I was watching Home Alone 2 on Sunday on YTV and my jaw dropped to the floor when I heard that it came out 20 years ago. I still can’t accept that I’m no longer a teenager! Ah! We watch Home Alone 2 every year with our friends as we put up the Christmas decorations. My husband and my best friend (who have an extra special liking to this movie) have a pair of awesomely hideous turtle dove ornaments they “share.” So glad others enjoy this holiday gem as much as we do! Awesome post with great ideas! 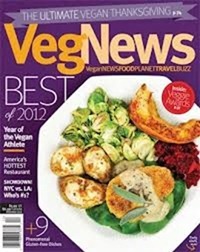 As testimony, I couldn’t live without my microplane zester or subscription to VegNews!!! Glad you are enjoying the PP bars! Fantastic gift list, thanks for sharing. And I cannot believe Home Alone was made that long ago. I’m planning on giving an AGO membership to a loved one. OKAY. I need that zester-grater thing…asap! Lol, thanks for posting this. So much fun. 20 years? Wow…it’s amazing how fast time flies! I’m watching “Rudolph the Red Nosed Reindeer” right now…and I don’t even want to know how old that show is!!! lol! hahah omg I don’t know but I remember thinking it was so old when I was a young kid watching it! I love the farm sanctuary idea and the soy candles look amazing! Yeah, Titanic had their 15 year anniversary this year. I saw that and was like “no way, I wasn’t 5 when that came out”. But after a few moments, I realized, I am not 20, I am 30 and I was 15 when that came out. Oh my gosh, I am in such a time warp.